Whichever coast you~re on, the Santa Cruz II PS delivers casual beach style. 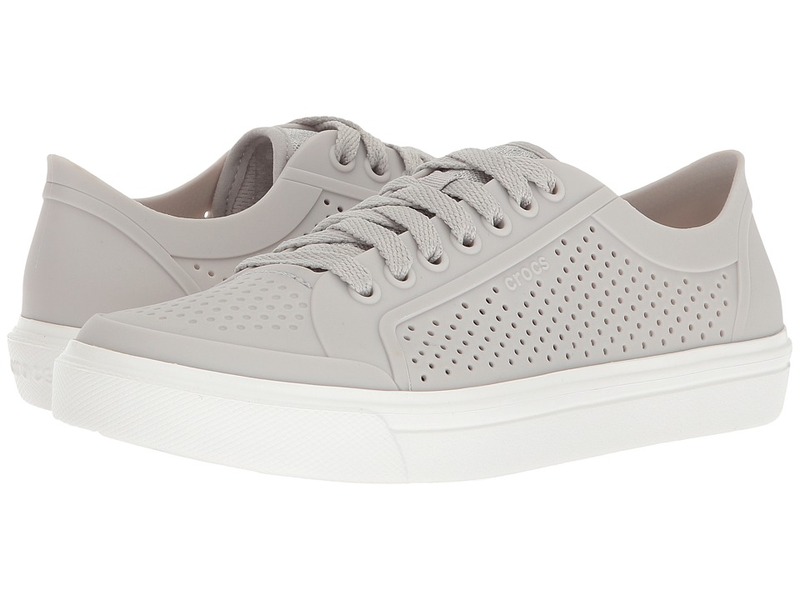 Canvas upper with side goring for a relaxed look and custom fit. Slip-on design for easy on and off. Croslite insole conforms to the foot while circulation nubs stimulate blood flow. Slip-resistant and nonmarking outsole provides traction. Imported. Measurements: Weight: 3 oz Product measurements were taken using size 8 Toddler, width M. Please note that measurements may vary by size. Weight of footwear is based on a single item, not a pair. Crocs comfort Level 1. Their feet are cool and comfortable in the Classic Clog from Crocs Kids. Clogs constructed from Croslite material for lightweight comfort. Circulation nubs on footbed stimulate blood flow. Footbed conforms to foot creating a custom fit. Advanced toe-box ventilation system. Treaded outsole for traction. Crocs states these shoes should fit very loosely. The sides of your foot should not really touch the sides of the shoe. Your toes should never make contact with the front of the shoe. Once you have centered your foot on the foot-bed: You should have about a 1/4 to 1/2 inch of space in front of your toes, behind your heel and when you lift the strap you should be able to comfortably get your finger between the strap and heel. No leather materials used in construction. Measurements: Weight: 2 oz Product measurements were taken using size 8 Toddler, width M. Please note that measurements may vary by size. Weight of footwear is based on a single item, not a pair. Every sunny day deserves the comfort of the Crocband Clog from Crocs Kids! Constructed from Croslite material for lightweight comfort. Midsole band pays homage to the classic vulcanized styles of yesteryear. Croslite material heel strap for a secure fit. Comfortable, shock-absorbing outsole. Footbed conforms to foot, creating a custom fit. Imported. Measurements: Weight: 5 oz Product measurements were taken using size 2 Little Kid, width M. Please note that measurements may vary by size. Weight of footwear is based on a single item, not a pair. Crocs comfort Level 1. 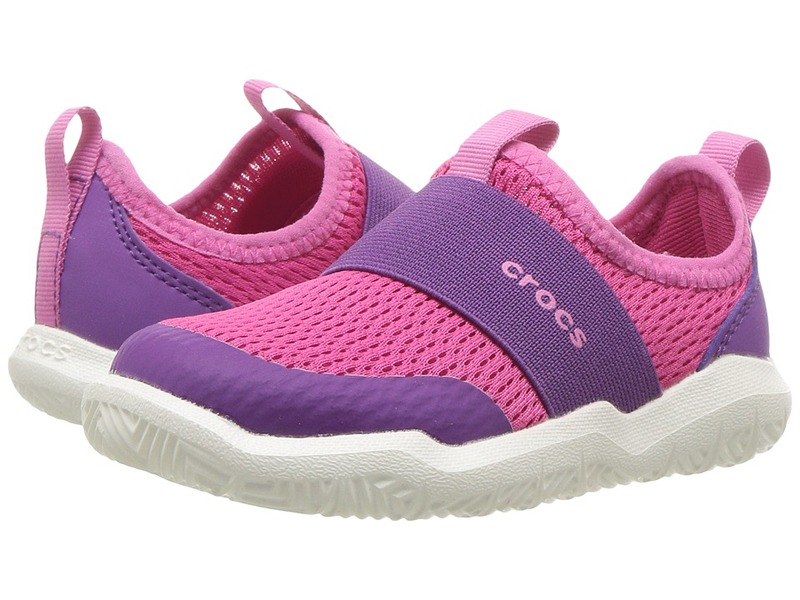 A classic infused with modern comfort from Crocs Kids! Clogs constructed from Croslite material for lightweight comfort. Allover pattern. Easy slip-on construction. Footbed conforms to foot creating a custom fit. Advanced toe-box ventilation system. Treaded outsole for traction. Crocs states these shoes should fit very loosely. The sides of your foot should not really touch the sides of the shoe. Your toes should never make contact with the front of the shoe. Once you have centered your foot on the foot-bed: You should have about a 1/4 to 1/2 inch of space in front of your toes, behind your heel and when you lift the strap you should be able to comfortably get your finger between the strap and heel. Imported. Measurements: Weight: 4 oz Product measurements were taken using size 8 Toddler, width M. Please note that measurements may vary by size. Weight of footwear is based on a single item, not a pair. 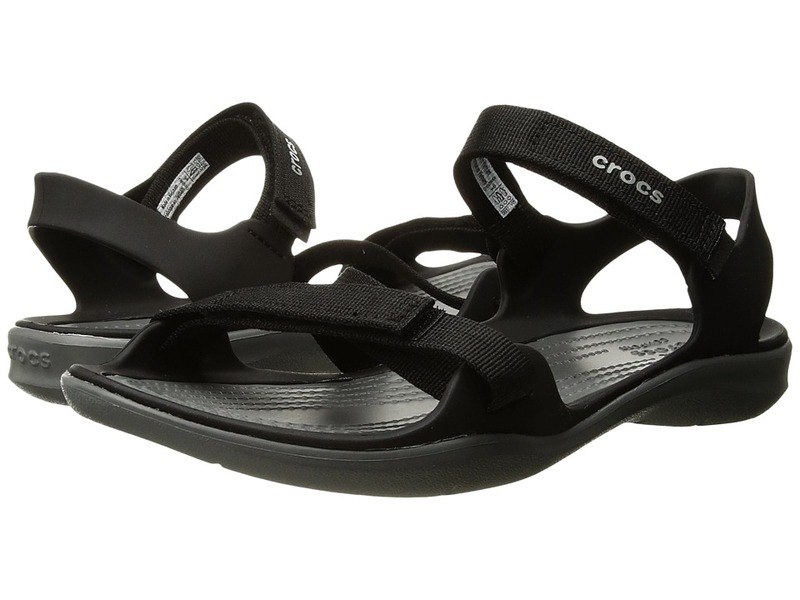 Keep those toesies protected while on muddy water adventures this summer with the Swiftwater Wave from Crocs Kids! Constructed of lightweight Croslite upper. Easy slip-on style with an adjustable hook-and-loop heel strap for a secure fit. High collar for added stability. Ventilation ports add breathability and help water and debris drain away. Odor-resistant, easy to clean, and quick to dry. Croslite foam footbed for all-day comfort. Lightweight, non-marking soles. Imported. Measurements: Weight: 2 oz Product measurements were taken using size 6 Toddler, width M. Please note that measurements may vary by size. Weight of footwear is based on a single item, not a pair. 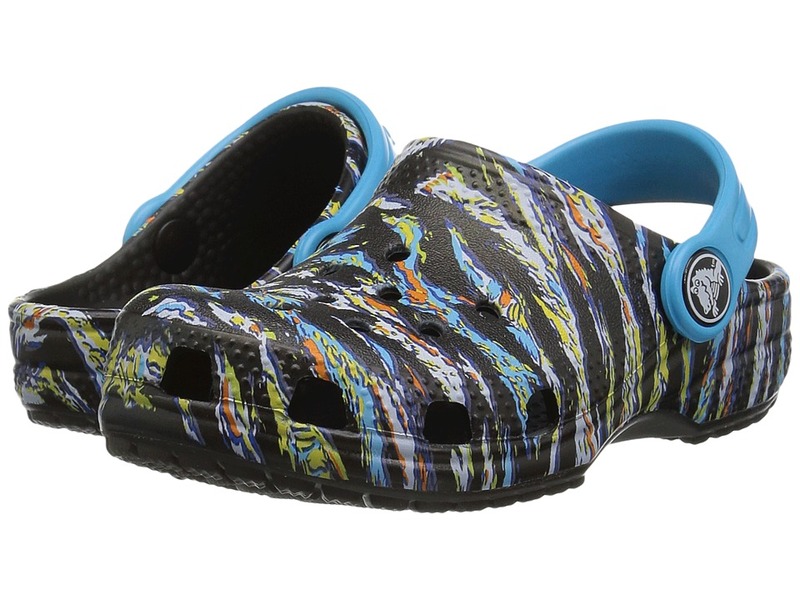 Splash-pad fun just got more playful in the Swiftwater Easy-On Shoe from Crocs Kids! Mesh upper is lightweight and flexible. Elastic band around instep for easy slip-on construction. Dual pull-loops for easy pull-on wear. Man-made lining for all-day wear. Croslite&amp#8482 material foam footbed and outsole for a pleasurable walking experience. Imported. Measurements: Weight: 2 oz Product measurements were taken using size 6 Toddler, width M. Please note that measurements may vary by size. Weight of footwear is based on a single item, not a pair. Crocs comfort Level 1. 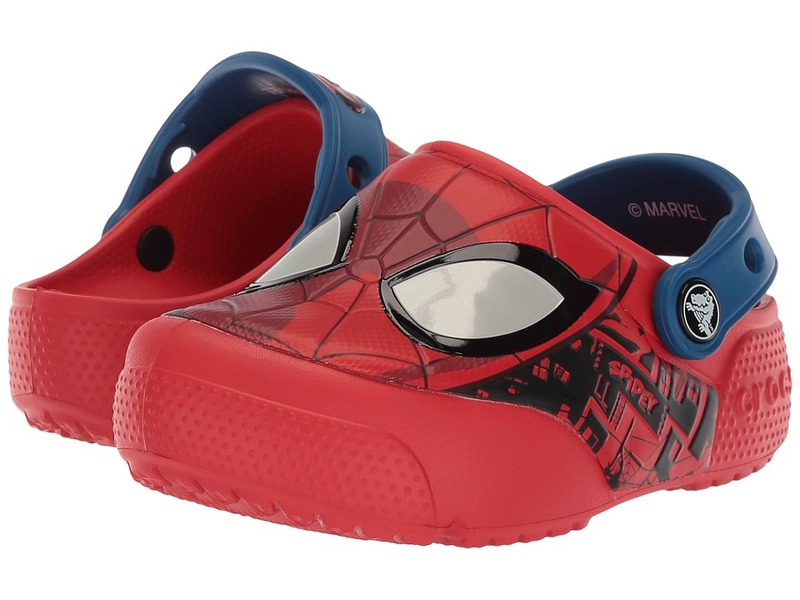 Get the party started with the CrocsFunLab Lights Spider-Man! Constructed from croslite material for lightweight comfort. Marvel comic book Spider-Man graphics at vamp light up. Croslite material heel strap for a secure fit. Footbed conforms to foot, creating a custom fit. Comfortable, shock-absorbing outsole. Imported. Measurements: Weight: 2 oz Product measurements were taken using size 9 Toddler, width M. Please note that measurements may vary by size. Weight of footwear is based on a single item, not a pair. Crocs comfort Level 1. 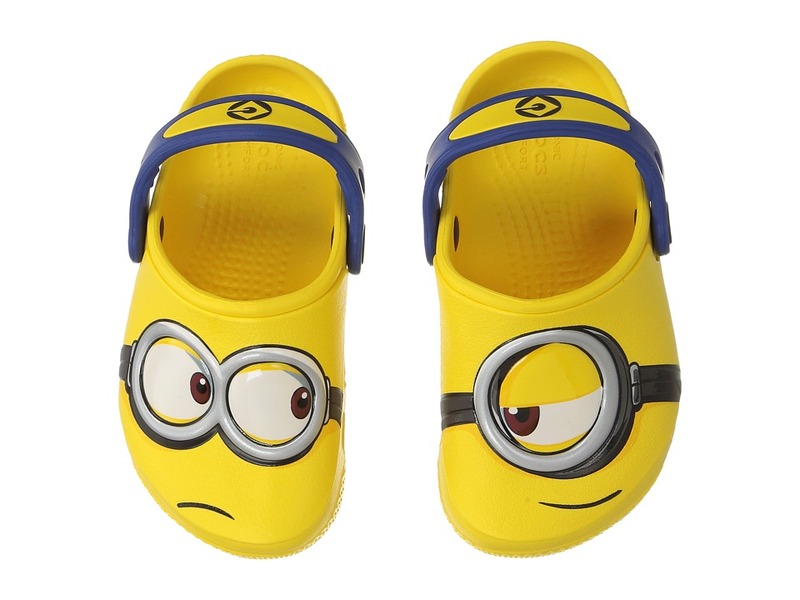 Be Gru~s best companion with this awesome Despicable Me themed Crocs Kids clog! Croslite upper with Minion design. Slip-on closure with strap for support. Round toe. Iconic Crocs comfort for all-day wear. EVA outsole. Imported. Measurements: Weight: 3 oz Product measurements were taken using size 8 Toddler, width M. Please note that measurements may vary by size. Weight of footwear is based on a single item, not a pair. Crocs comfort Level 2. Splash pad fun just got more playful in the Swiftwater Sandal from Crocs Kids! Mesh upper is lightweight and flexible. Raised toe bumper keeps their feet safe. Hook-and-loop closure for easy on and off. Man-made lining for all-day wear. Croslite&amp#8482 material foam footbed and outsole for a pleasurable walking experience. Siped outsole channels water away to improve traction. Imported. Measurements: Weight: 3 oz Product measurements were taken using size 2 Little Kid, width M. Please note that measurements may vary by size. Weight of footwear is based on a single item, not a pair. Crocs comfort Level 1. 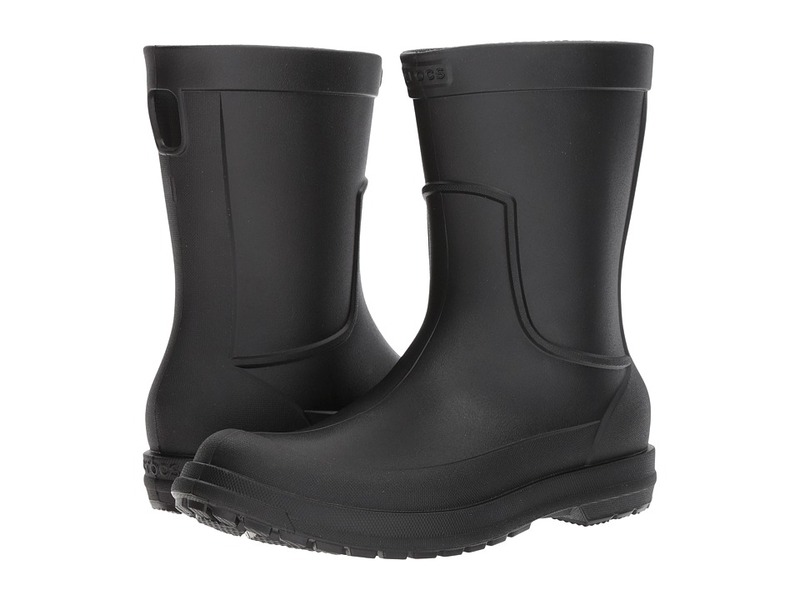 Tend to your plans rain or shine in the AllCast Rain Boot by Crocs. Fully molded construction waterproof to the top! Easy pull-on style. Original Croslite foam cushion: Feels soft with all-day support. Lightweight Croslite outsole. Imported. Measurements: Weight: 1 lb 2 oz Circumference: 15 1 2 in Shaft: 10 in Product measurements were taken using size 12, width M. Please note that measurements may vary by size. Weight of footwear is based on a single item, not a pair. Crocs comfort Level 1. It~s only a matter of time before the CitiLane Roka Court is your favorite go-to! TPU upper with perfs for maximum breathability. Lace-up closure for an adjustable fit. 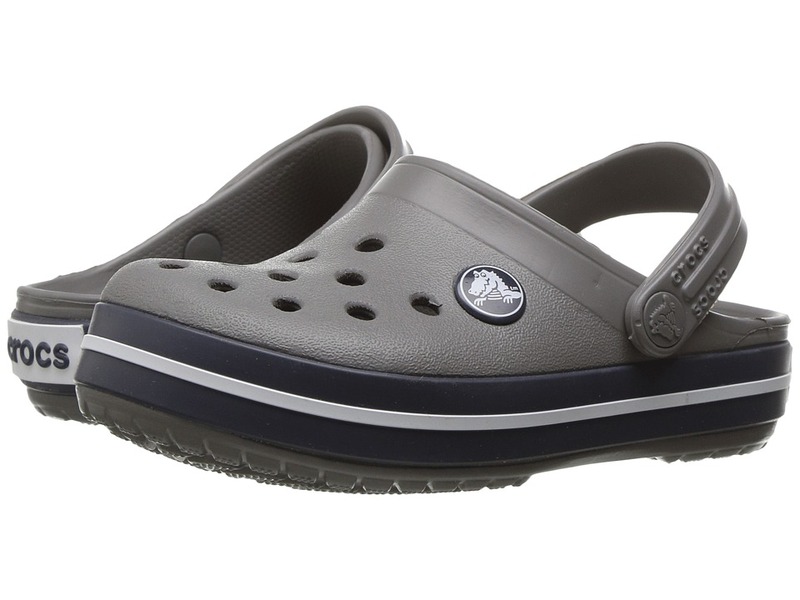 Iconic Crocs Comfort: original Croslite foam cushion. 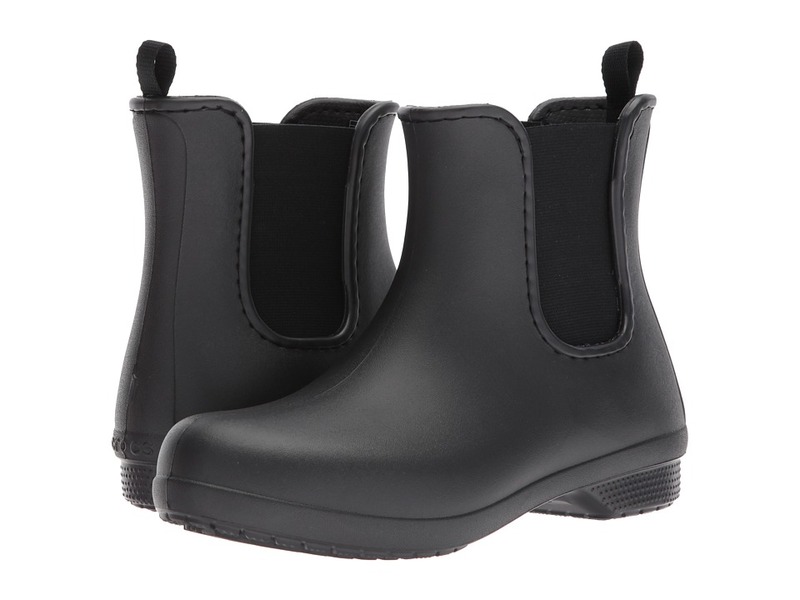 Slip-resistant and non-marking EVA outsole. Imported. Measurements: Weight: 10 oz Product measurements were taken using size Men~s 12, Women~s 14, width M. Please note that measurements may vary by size. Weight of footwear is based on a single item, not a pair. Crocs comfort Level 1. 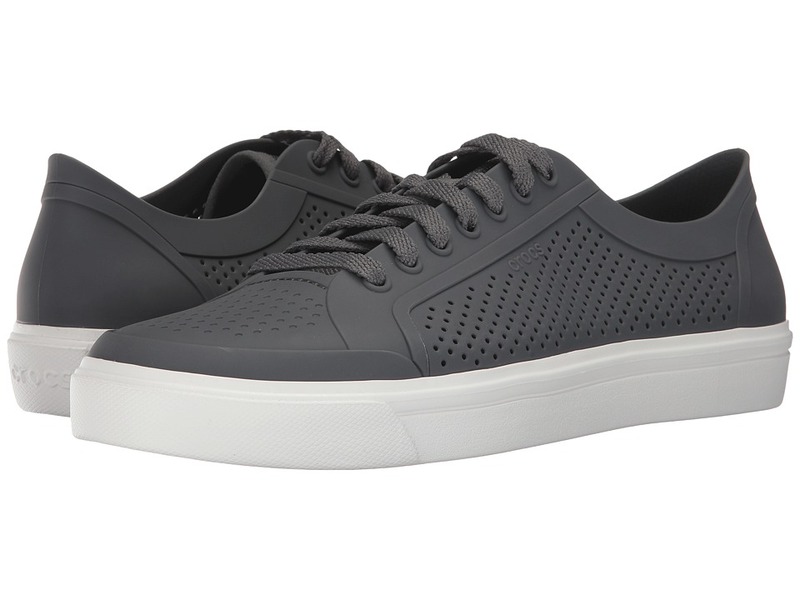 Take your casual look to new heights with the CitiLane Roka Court from Crocs. Molded Croslite uppers with perfs for ventilation. Lace-up closure for an adjustable fit. 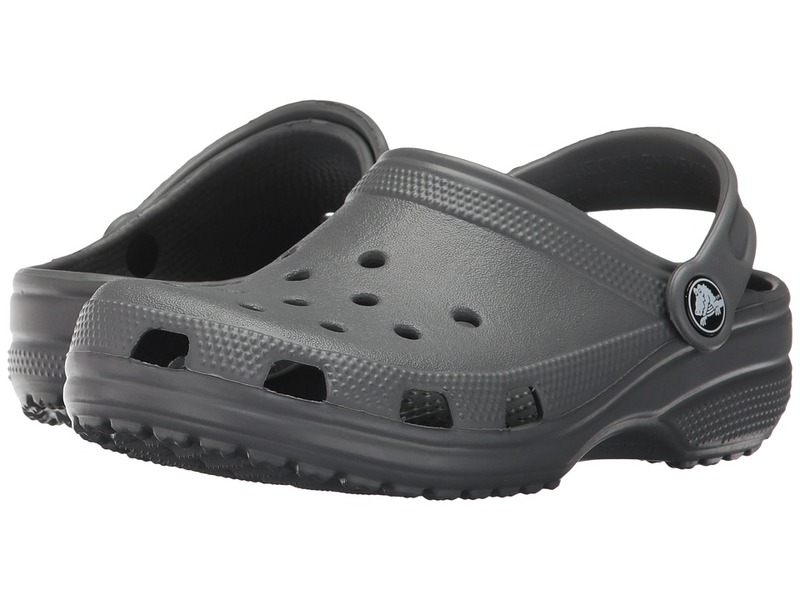 Croslite foam footbeds and outsoles result in Iconic Crocs Comfort for all-day wearability and versatiliy. Imported. Measurements: Weight: 7 oz Product measurements were taken using size 9, width M. Please note that measurements may vary by size. Weight of footwear is based on a single item, not a pair. Crocs comfort Level 1. 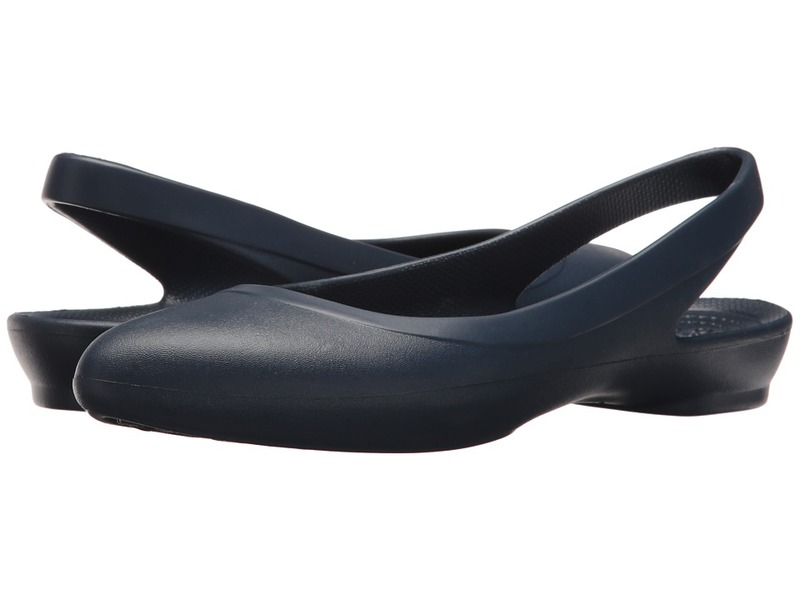 Slingback to the comfort side with the sassy Eve from Crocs. EVA upper in a fully molded construction. Easy slip-on style. Iconic Crocs Comfort: soft and supportive. Lightweight EVA outsole. Imported. Measurements: Weight: 2 oz Product measurements were taken using size 9, width M. Please note that measurements may vary by size. Weight of footwear is based on a single item, not a pair. Crocs comfort Level 2. You~ll welcome inclement weather so you can wear the cute Freesail Chelsea Boot. Waterproof EVA material construction makes it incredibly light and keeps you perfectly dry. 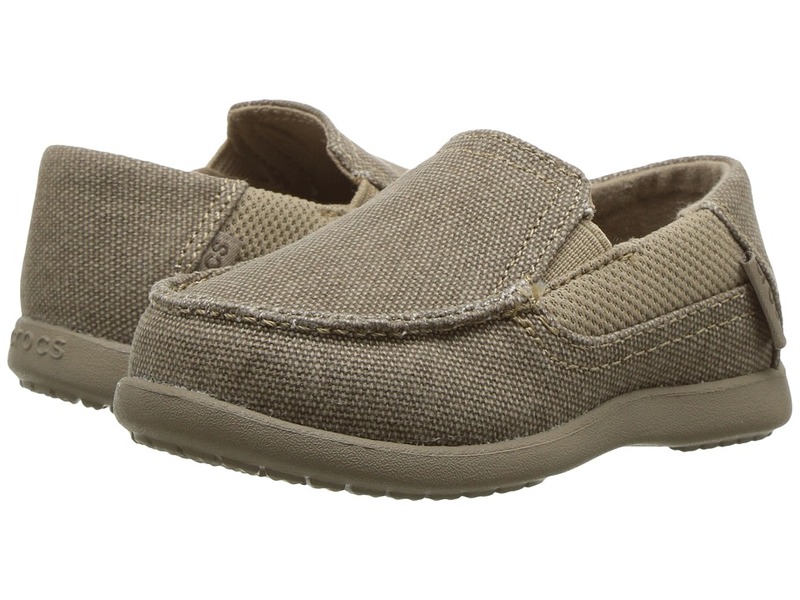 Slip-on design with a pull tab and dual side goring. Lined footbed for step-in comfort. Dual Crocs Comfort: deep cushion with all day support. Rubber outsole pods improve traction and durability. Imported. Measurements: Heel Height: 3 4 in Weight: 8 oz Circumference: 12 in Shaft: 5 1 2 in Product measurements were taken using size 9, width M. Please note that measurements may vary by size. Weight of footwear is based on a single item, not a pair. Crocs comfort Level 1. You~ve got good taste, girlfriend! Lightweight EVA upper with braided straps for added appeal. Easy slip-on construction. Croslite foam cushion footbed. EVA outsole for a pleasurable walking experience. Imported. Measurements: Heel Height: 1 1 2 in Weight: 6 oz Platform Height: 0 1 in Product measurements were taken using size 8, width M. Please note that measurements may vary by size. Weight of footwear is based on a single item, not a pair. Crocs comfort Level 2. Surrender those tired puppies to luxurious comfort with the Isabella Wedge Flip from Crocs. Unlined synthetic upper with strappy details. Easy slip-on construction. 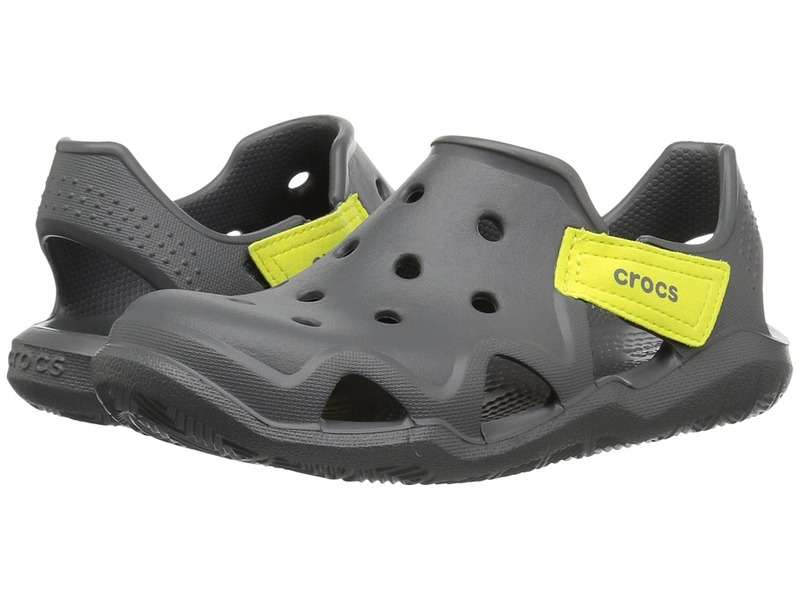 Dual Crocs Comfort cushioned footbed for all-day wear. Durable EVA outsole. Imported. Measurements: Heel Height: 1 1 2 in Weight: 5 oz Platform Height: 3 4 in Product measurements were taken using size 8, width M. Please note that measurements may vary by size. Weight of footwear is based on a single item, not a pair. Crocs comfort Level 1. 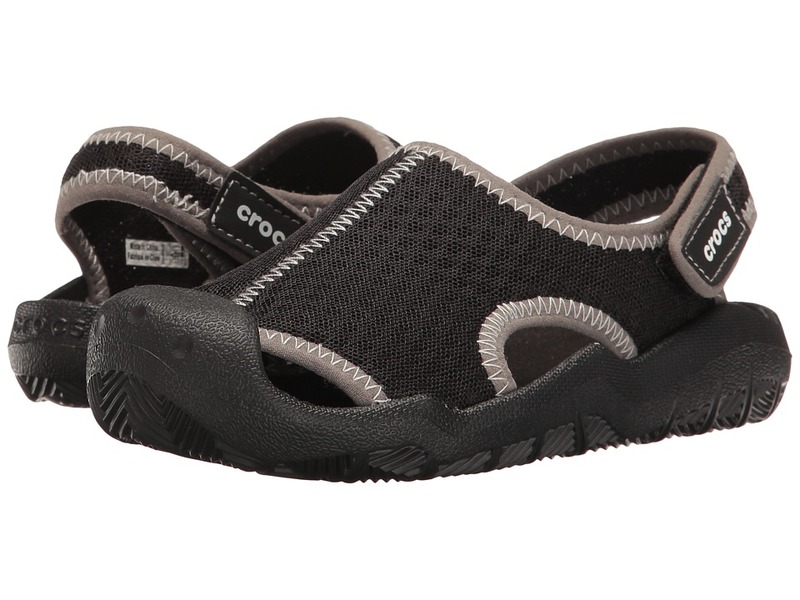 Ride the wave all summer long in the Crocs Swiftwater Webbing Sandal. Colorful nylon upper. Adjustable hook-and-loop closures. Original Croslite foam cushion: Feels soft with all-day support. Flex grooves in the outsole enhance comfort and traction. Imported. Measurements: Weight: 5 oz Product measurements were taken using size 9, width M. Please note that measurements may vary by size. Weight of footwear is based on a single item, not a pair. Crocs comfort Level 1. 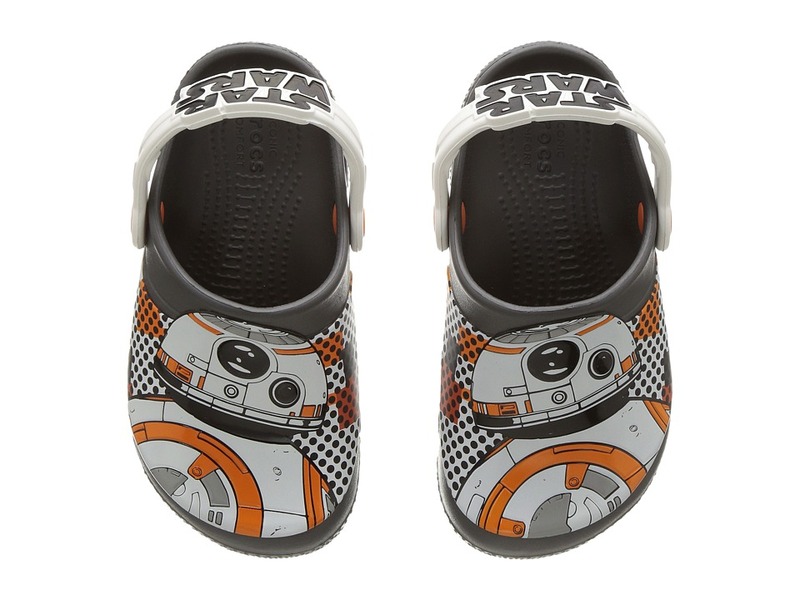 Your little will be just as energetic as BB-8 from Star Wars! Constructed from Croslite material for lightweight comfort. Bold graphics and heroic rebel colors. Croslite material heel strap for a secure fit. Iconic Crocs Comfort&amp#8482: soft and supportive. EVA outsole. Imported. Measurements: Weight: 3 oz Product measurements were taken using size 10 Toddler, width M. Please note that measurements may vary by size. Weight of footwear is based on a single item, not a pair.